Part Time $5700.00 One day per week 41 weeks, no prerequisite. The tuition fees you pay will depend on your eligibility for government subsidised training. Please note we follow the Queensland school holiday calendar year, coinciding with term breaks. Full time day course – please allow approximately $70.00 – $90.00 in the first 6 weeks and a further $70.00 – $100.00 per week for the remainder of the course. A pair of complimentary Floristry Scissors are supplied free of charge to each student upon enrolment (these are yours to keep). A Cert III in Floristry offers students a wonderful career in the exciting world of flowers. If you love flowers and looking for a career that is creative, challenging and unique, floristry is the career for you. This course is essential for those seeking a professional position in the floral industry. A Certificate III in Floristry prepares you to enter the industry as a fully qualified florist. Creativity and a love of flowers are the keys to a career in floristry. Your floristry skills will be put to use to celebrate some of your customers’ most important life experiences. The Certificate III course provides a foundation of competencies across a range of floristry skills. You will learn creative skills, design and colour theory, as well as practical advanced construction skills and techniques for a wide range of arrangements suitable for weddings, corporate, special occasions and event staging. You will learn how to choose, store and care for botanical materials, wholesale sourcing and advanced retail skills. Industry work experience and participation in student floristry competitions is encouraged in this course. Our goal is to give you the technical know-how and to teach you the best method, ‘tricks of the trade’. Our training is delivered through a series of practical and theory-based modules. If you are passionate about flowers and want to spend each day creating, then The Flower School is the right place to begin your journey. We will be attending flower markets, visit flower growers and other key industry groups on field trips. A student card will be issued so flowers can be purchased at wholesale price. Upon completion of this course, you will be eligible for employment as a fully qualified florist. Your career is on its way to bloom! 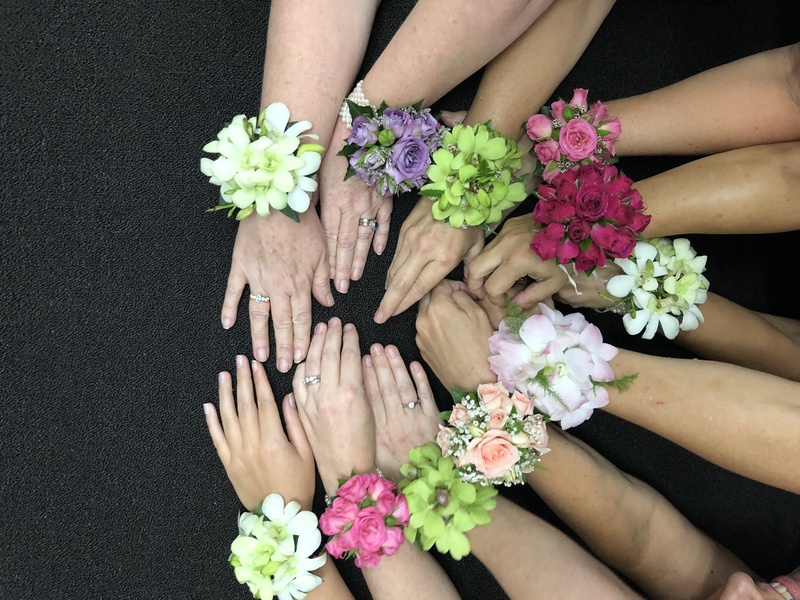 Opportunities for qualified florists exist in traditional retail operations including a range of corporate, event planning, styling, hospitality and other related fields. Our training program is nationally accredited, innovative, and focused on developing you as a florist. Once you have been deemed competent in all units you will be awarded SFL30115 Certificate III in Floristry. To enrol, you must be 15 years or over. This course is open to the public and is designed to those desiring a career as a florist. Your thriving career is about to begin! Once you have mastered all the basics aspects you will move forward to more advanced flower arrangements. We offer the Certificate 3 Guarantee and Concession rates for eligible students. Your eligibility for concession or subsidised program fees is determined by your individual circumstances such as how old you are and what level of education you have. All welcome to this exciting night that will showcase Certificate II and III floral arrangements that the student have been working towards. Find out all the information you need on the night from our tutors on studying a floristry course. Duration: 11 weeks, Monday – Wednesday, three days per week 9:00am – 4:00pm. Duration: 40 weeks, one night per week, with one Saturday a month. Off Campus study – This course is designed for remote students, with access to tutors via skype, email and phone. Including six, one-week classroom based practical study. In our Enriched Program – We will be attending flower markets, visit flower growers and other key industry groups on field trips. A student card will be issued so flowers can be purchased at wholesale price. 7 Modules with a mix of theory and practical throughout each lesson. Would you like to become a florist? We love the passion, we like to share. Enrol today.